One man transfixed television viewers more than any other during snooker's golden age - his name was Alex 'Hurricane' Higgins. 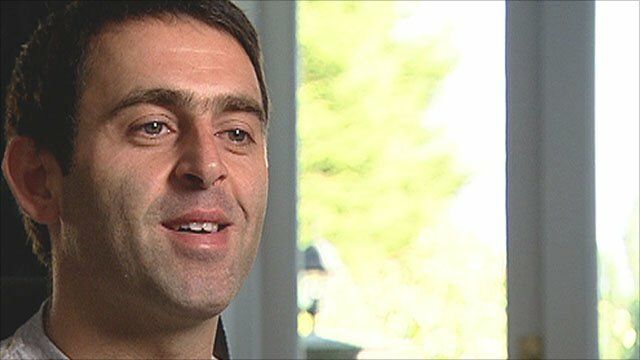 This hour-long BBC Two documentary charts the remarkable rise and fall of snooker's first genius, from Alex's early days growing up in Belfast to the summit of the sport as two-time world champion, and back down again, as alcohol hastened his slide from grace and cancer ravaged his body. At his peak, Higgins was pure showbiz, a mercurial talent at the table who played the game like nobody had done before. Boxing had Muhammad Ali, football was blessed by George Best - snooker had Alex Higgins. Yet like Best, Higgins' brilliance was flawed by his demons. We chart the depressing lows: the alcohol abuse; threatening to have fellow Ulsterman Dennis Taylor shot; headbutting a senior member of snooker's hierarchy; and falling out of a top floor window after a row with his then girlfriend. The archive is astonishing, the stories often heart-breaking but the snooker is always breathtaking. We hear from those closest to Higgins, including an exclusive interview with his daughter Lauren and his sisters Jean and Anne. And we complete the Higgins story for the first time in a major documentary with the final chapter of his life spent battling throat cancer. The desperate hours spent in pubs and clubs trying to rekindle his halcyon days; his reliance on baby food after being unable to eat properly because he had lost his teeth; and his sad death in sheltered accommodation. At times uplifting, but at other moments very sad - this is a rollercoaster journey charting the life of snooker's first 'rock and roll star'. The programme is poignantly timed just weeks after Alex's funeral and shortly before the World Open heralds the start of the new snooker season. Contributors from the green baize include Higgins' great friend Jimmy White, old adversaries Dennis Taylor, Steve Davis and Ray Reardon and arguably the most talented player since 'the Hurricane', Ronnie O'Sullivan.